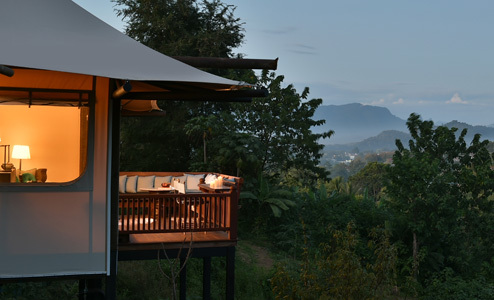 Situated within a thickly forested setting intersected by a meandering river and waterfall, the Rosewood Luang Prabang is located within 10 minutes drive from the historic city of Luang Prabang. The property is the only luxury resort in the vicinity with no sightlines to civilisation. The unique site is a treasure trove of nature’s blessings – the perfect setting for a secluded and indulgent escape. Designed by the famed American architect, Bill Bensley, the resort encourages guests to unwind and become as one with the serene surrounding. The resort offers 23 spacious accommodations with riverside views and Hilltop Tents. Spa services are conducted in individual treatment tents, surrounded by forest and river, create an exceptional sanctuary to reconnect with Mother Nature.